In this video I am talking about our inner judgmental critic and how sabotaging that part of us can be. 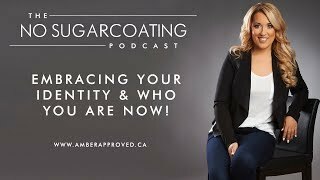 Embracing Your Identity & Who You Are Now! Sharing the importance of embracing who we are and our identity now. Exploring body image pressures and how staying in our power and choosing to not be pressured can really help us to feel confident and secure in who we are. I am exploring the lack mentality we can have with food. Costs of Taking Time Off From Our Health. With summer coming and a lot of travels and holidays planned, people tend to delay taking care of themselves because of trips and travel. In this video I am sharing I am sharing about how a cluttered mind and space can lead us to self-sabotage. I am exploring how negative emotions...can drain our energy and contribute to stressing our physical body out more. In this video I am sharing about the costs of rushing the emotional eating journey. In this video I am sharing about how a negative mindset and limiting beliefs can hinder our weight-loss and actually contribute to us hanging onto necessary pounds or gaining weight. In this video I am sharing about how leading our health journey with frustration when we expect to lose weight right away can really sabotage our journey. In this video I am sharing about signs of an unhealthy relationship with food. Instead of restriction and counting calories, aim for optimal health.